Conditional love, conditional forgiveness–these hardly sound like magnanimous divine traits. In fact, they make God sound rather crusty and petty. Powlison’s God’s Love: Better Than Unconditional and Brauns’ Unpacking Forgiveness both explain why divine unconditionality–whether in love or forgiveness–not only makes for bad theology; it promotes bad behavior, bitterness, and not a whole lot of personal growth. 1. Forgiveness always concerns sin. 2. God forgives confessed sin. 3. God’s forgiveness correlates to our forgiveness. 4. Our forgiving must be like God’s forgiving of our sins. 5. God’s forgiveness of sin is for the repentant and so is ours. You are not obligated to forgive an unrepentant sinner, but you are obligated to try to bring him to repentance. All the while you must entertain a genuine hope and willingness to forgive the other and a desire to be reconciled to him or her. Because this biblical teaching runs counter to much teaching in the modern church, it is important to understand it. Such forgiveness is modeled after God’s forgiveness which is unmistakably conditioned on repentance and faith. So why is it good news that God seeks us out in order to extend forgiveness to us but waits to grant it until we ask for it? Because it shows once again the amazing amount of respect and honor God accords to us dishonored (and dishonorable) creatures. He doesn’t wait for us to seek him out, arms crossed. He doesn’t make us beg. He doesn’t lay out hoops through which we must jump. But he does respect our freedom. If we persist in sinful behavior and refuse to repent from it because we’re perfectly content in our rebellion, he does not forgive us when we don’t see ourselves as in the wrong. What a gracious maker. Far from being crusty, his conditional love is actually far more freedom-affirming than the vapid theological saw of him swatting out of our hands that which we cling to so tenaciously in our rebellion against him. And what good sense that we would obey him in forgiving others that same way. We too are to diligently, frequently, lovingly seek out those who have wronged us. We too are to call them tenderly to repentance. We too are to intercede for them with the father. And we too are to let them know that we are ready to forgive them because of the lavish goodness and healing that God has already extended to us. But forgive them for what they stubbornly insist is not wrong? How does that affirm their agency, convey respect to them and to God, and set the stage for true healing of broken relationship? If forgiveness is a private affair, then there is no need to ever interact directly with the one who has caused the injury. It is not uncommon to hear someone say, “I have forgiven her, but I will never talk to her again.” Such an approach does not embody the forgiveness granted by the Lord who welcomes sinners into His loving arms. In the end, that’s the crusty, petty thing about supposedly unconditional forgiveness: It produces fairyland faux relationships, not gritty, deep, hold-on-tight-and-we’ll-go-the-distance-together authentic reconciliations. 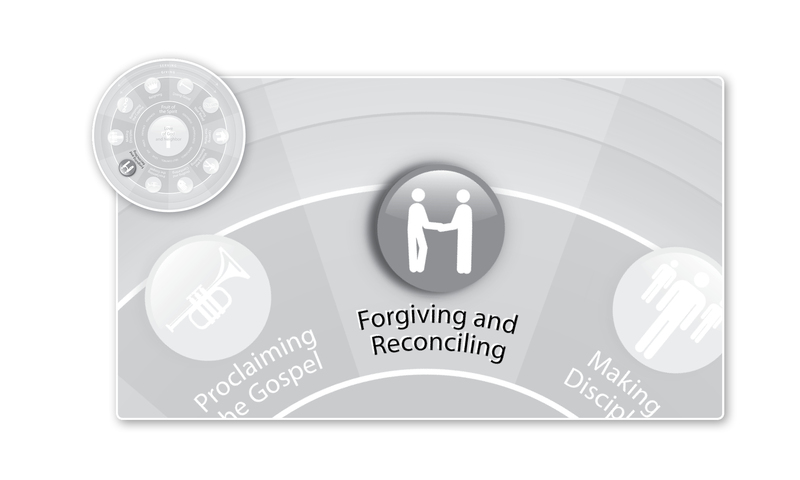 In Powlison’s words, God does “better than unconditional.” That’s because Scriptural forgiveness is always about enduring relationships centered on the Cross. We are forgiven into such relationships, not out of them. This entry was posted in Forgiving and Reconciling and tagged chris brauns, conditional love, david powlison, unconditional forgiveness. Bookmark the permalink. As regards, “gritty, deep, hold-on-tight-and-we’ll-go-the-distance-together authentic reconciliations”, Pastor Kent and I have received this from you, Pastor Foley. And this is priceless.